“I’ll be darn,” guitarist James “JY” Young says with a chuckle when told that Styx garnered praise recently from Rolling Stone, which cited the band’s current Midwest Rock ‘N’ Roll Express tour with REO Speedwagon and Ted Nugent as among “The Ten Hottest Summer Package Tours of 2012.” “That’s a turnaround for Rolling Stone in relation to us, but who am I to disagree with them?” says Young, who has been in the band from the beginning. Truth be told, Styx have never been critical darlings, but throughout a 40-year-career that’s withstood various personnel changes and creative conflicts, the band has sold over 30 million albums and continues to draw sold-out audiences across the country. The concert industry can be fickle and unpredictable, but Styx has maintained a steady presence and a steady success on the road. We have definitely asserted ourselves as a live concert act…. We’re seeing more and more young people in the audience at our shows, under the age of 25, even though the internet seems like it’s killed the record business. A lot of the record executives who used to have great power no longer even have a job. And the whole thing has been turned topsy-turvy as a result of the internet and digital downloading, and the digitization of music to CDs in the very first place. Live concerts really are the only thing that you can’t digitize in a meaningful way. There’s something about the live concert experience, when you’re sitting there with 1,000 or 10,000 or 20,000 people or 50,000 people depending on the venue and they’re all singing along to the songs. There’s an energy there that no matter what kind of stereo system you have at home—5.1, this, that, and the other thing; no matter how great the Blu-ray is—it’s just not the same as being there. You guys made your name early on with your albums—you performed live then, too, of course, but back then albums were a dominant form of expression—but now since the tide has turned to make the live performance so crucial, you guys clearly have the chops to do that too. A lot of recording artists, once they’re expected to perform live, are lost. We made albums starting in 1972 and then started performing live [with] that music, but it was a struggle for us for a number of years. I think those years where we had to sort of sell our new music, if you will, or at least perform new music in front of people that had never heard it before [taught us] you have to have stagecraft to bring the songs to life after you’ve recorded them. We did start [out] making records, but we weren’t that successful doing it until we’d made a few. And so we had a chance to learn what not to do before we had our first great record success, so then when we did finally have record success our stage chops were finely tuned and finely honed. The way things were in the ‘70s—in the early half of the ‘70s—there was a chance to develop. Live concerts were very exciting for the baby boom generation because rock concerts had not been that much of a factor in the ‘60s. Once the post-baby-boom generation came into their economic powers, people wanted to go out and have a good time and rock music was their music of choice. It was the music that spoke to them. And we were there for it and we had a chance to develop without the microscope on us for a while. Then when the microscope did get on us we were ready for the closer examination that we were given. Much of this has to do with professionalism, of course, but how do you keep the material fresh—some of these songs you play are 35-40 years old now—when you perform it live today? Each night you’re performing in front of a different audience and you see different faces out there and different reactions, and that sort of pushes you into slightly different directions each night. There is that aspect of performing the same material over and over that it tends to just get better when you do that. In this day and age we have the ability to put on a spectacular show from the standpoint of great sound and great lights that people can do many magical things [with] that they could never do before; and a video wall behind us that can changeably do things on a regular basis to enhance the songs and create a different energy in the room. When you have all those elements they really need to be coordinated. The woman who directs our lights every night and the guy who runs our sound and the guy who runs our monitor mix, in particular, it’s good if they know which song is coming next and what’s going to happen in the show; because then the whole production can be tighter. And, honestly, there are times when we like changing it up and do so, but in order to put on a great production that is multimedia everybody’s got to be on the same page and everybody’s got to know when there’s a dramatic stop or a dramatic start. If the timing is off on that it’s like you wasted the moment… In order to put on a great show I think that’s what you need to do. There needs to be structure and consistency. It must be gratifying to know that Styx has made such an indelible impact not just with music fans, but in pop culture overall. We are so embedded in pop culture it’s amazing to me the references that surface to our music. I mean, Adam Sandler certainly had a bunch of them. There’s references to our music all over the place; [in] George Clooney’s movie, the latest one he was nominated for the Academy Award for [The Ides of March], there’s one of the female characters walking around with a Styx T-shirt. These kinds of things are stuff you can’t plan for, and just kind of happen. That just shows the impact that we’ve made. I’m astounded and humbled by it. I’m sure there are people who know Styx songs without realizing they’re even by Styx. Music is such a universal force that has the power to calm, to soothe, to inspire, and in the best cases to heal. And it just finds its way into people’s lives in different ways, unexpected ways. That’s the beauty of us continuing to perform, which is something I love to do. 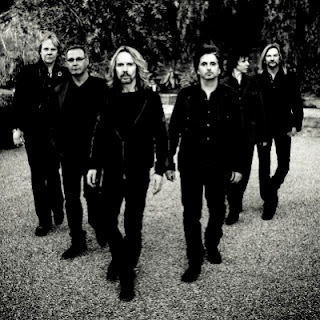 How was the ambition Styx had as an emerging band any different or similar from what the band strives for now? For me it was just something that appeared—on the surface anyway—as a job that you didn’t really have to work at. It was a career in the avoidance of work. That’s what it meant to be a rock star: You didn’t really have to work. But the reality is to succeed and to continue to succeed over a span of a number of decades as we have requires tremendous amounts of work and utter and total focus. And some days it’s a very frustrating career. You have to travel from one end of the country to the other—sometimes in the span of 48 hours. I’ve gone back and forth from the East Coast to the West Coast back to the East Coast, and that will kill an ordinary human. It definitely takes its toll on you, but that’s what it takes, in a way, to continue to succeed in this business, particularly now. I don’t know what anybody else in this band could possibly think of to do at this late date as far as another career goes. Eventually this becomes the only thing that you can earn a decent living at because it’s the only thing that you really know.